We are thrilled to be featured in Ventura Blvd - please see below for an excerpt or click here to read the full article. 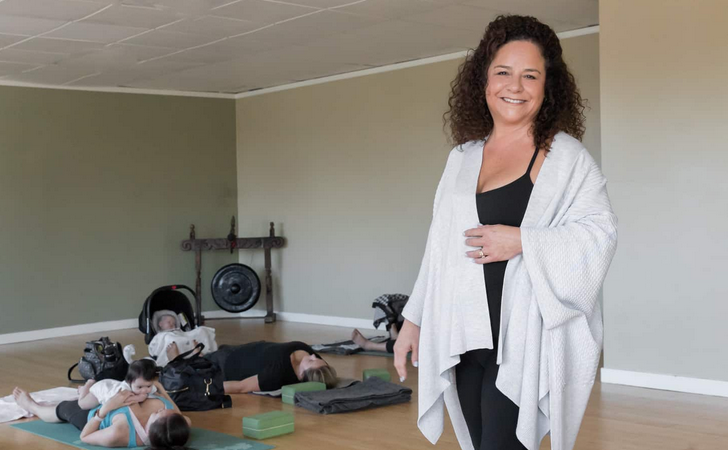 Two Hearts Yoga Studio, a Sherman Oaks mainstay for the past decade, is a boutique yoga studio that also offers chiropractic and acupuncture services (for adults and babies), massage and a resident midwife. Owner Georgina O’Farrill has worked in the health industry for more than 20 years. “Consider this studio your sanctuary, where you can reconnect with yourself for the betterment of you, your family and your community at large. We have a network of experts trained to guide you through all the phases of parenthood. We like to keep things as real as possible, and we want everyone to feel 100% comfortable. We have teachers with different styles and personalities so you can find one you connect with most. We want to help you navigate the thrills and challenges of pregnancy. At this studio we welcome all the lovely messiness and chaos that comes with newborns, babies, children and toddlers. Please feel free to change a diaper, soothe a crying baby or breastfeed. We welcome it all. What is the most rewarding aspect of running your business?